Hey! 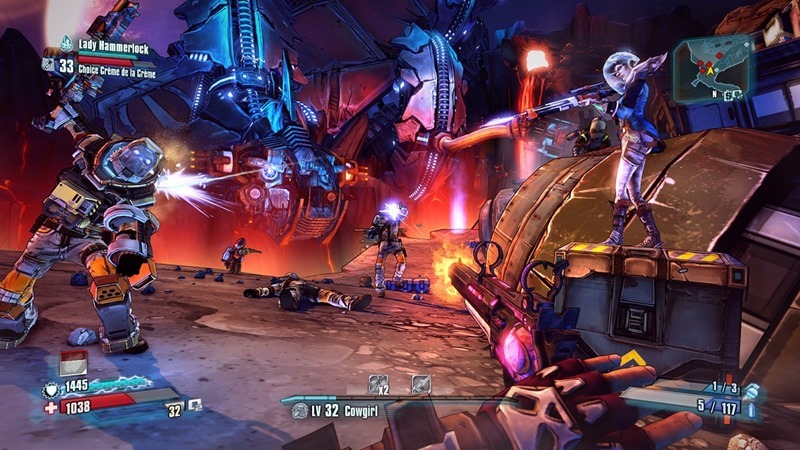 Guess what Gearbox announced over the weekend at PAX South? I’ll give you a clue: It wasn’t Borderlands 3. While it’ll most likely be a good couple of years before we ever see that game tackled, that doesn’t mean that the previous proper game in the series, The Pre-Sequel, has been forgotten about. In fact, it’s about to get a touch classier now when Lady Hammerlock enters the picture. And yes, she is indeed related to explorer and wildlife researcher Sir Hammerlock. Here’s the press release and some pictures describing Lady Aurelia’s personality. Sibling rivalry, hoooo! Ever wondered if your favorite researcher, Sir Hammerlock, had a sibling? Well, he does, and she’s the older sister that every little brother is terrified of. 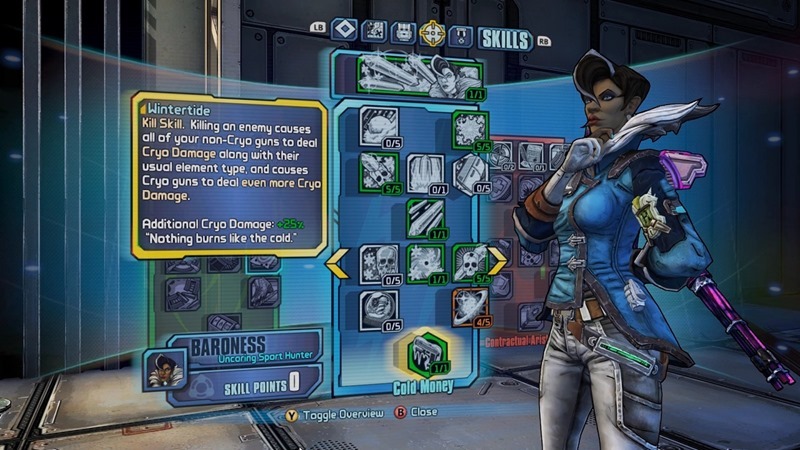 Lady Aurelia the Baroness is the newest playable character coming to Borderlands: The Pre-Sequel as a downloadable add-on. 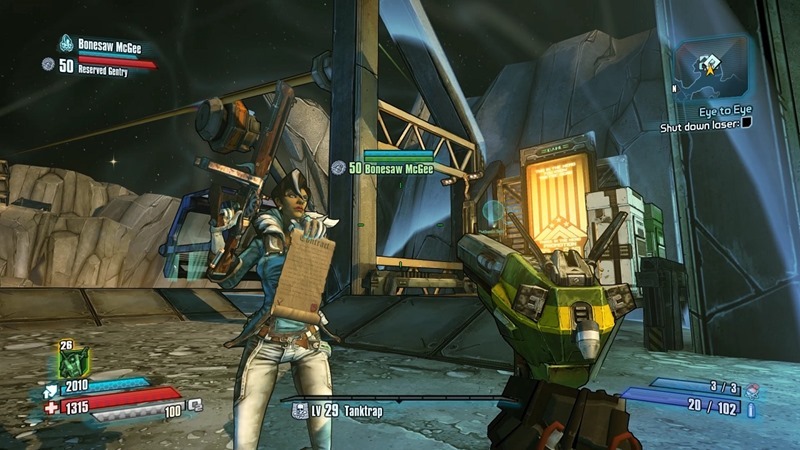 Starting on January 27, 2015 (January 28 in Europe and Asia), you’ll be able to pick up the Lady Hammerlock Pack on PlayStation 3, Xbox 360, and Steam. Aurelia is the heir of the Hammerlock family fortune, but when she’s not riding her hoverbike through the endless hallways of her orbital turbomansion, she’s out hunting the latest and greatest game in the galaxy. 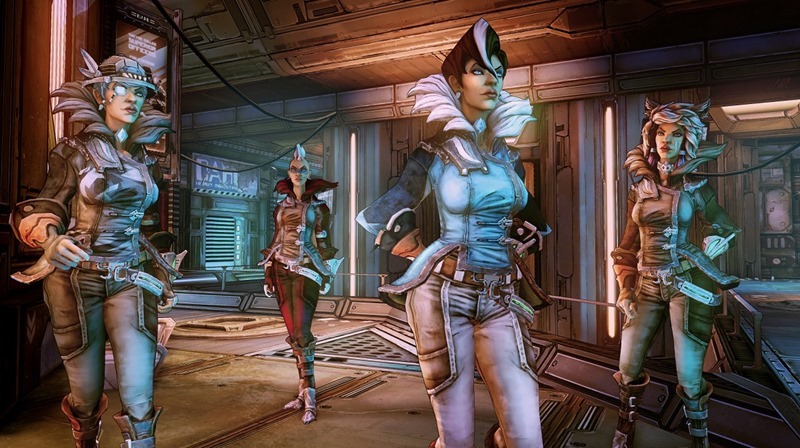 If these expeditions should put her in conflict with her younger brother Alistair – aka Sir Hammerlock – all the better. The only thing more fun than shooting a rare animal Alistair intended to study is the look of abject horror and surprise on his face once Aurelia wears its carcass like a jaunty scarf. Normally, Lady Hammerlock would never be seen within a light year of Pandora, but she’s grown bored as her turbomansion grows cold, while her lust for violence grows hot. She’s headed to Elpis with nothing more than an expensive gun, an experimental Cryo diadem, and a powerful belief that shooting angry things in the face is a good deal of fun. When it comes to action, Aurelia has the standard trio of skill trees to level up in. Cold Money focuses on amping up Cryo damage and applying that element to any gun, Contractual Aristocracy allows her to turn a co-op partner into a lowly servant and profit from their hard work in the game while Huntress focuses on sniping bonuses and buffs. 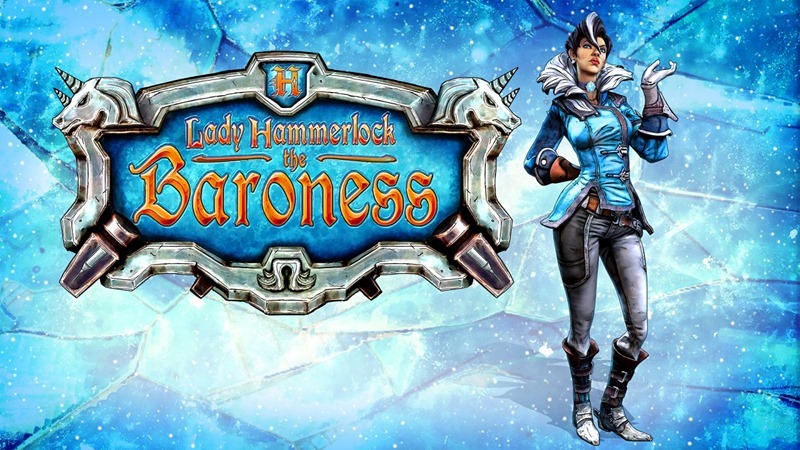 Lady Hammerlock is an expensive date however, as her pack alone will set you back $9.99. She is included in the season pass however, and will be part of the upcoming Handsome Collection on PlayStation 4 and Xbox One: A collection which hopefully includes new dialogue of Sir Hammerlock ranting on and on about his sister who happens to still have all of her limbs intact.